Unless you’ve been living under a rock, you probably know Necker Island. Sir Richard Branson’s private paradise in the heart of the British Virgin Islands has played host to everyone from Mick Jagger to Kate Winslet, and it’s made headlines perhaps more than any other resort, not only for its famous owner’s antics but for the tragedies and fortunes it has gone through in recent years. But Branson is behind another private-island resort that you probably haven’t heard of. (Although, it’s not news to Robb Report Australia & New Zealand readers; we profiled the island in our May 2017 print issue.) 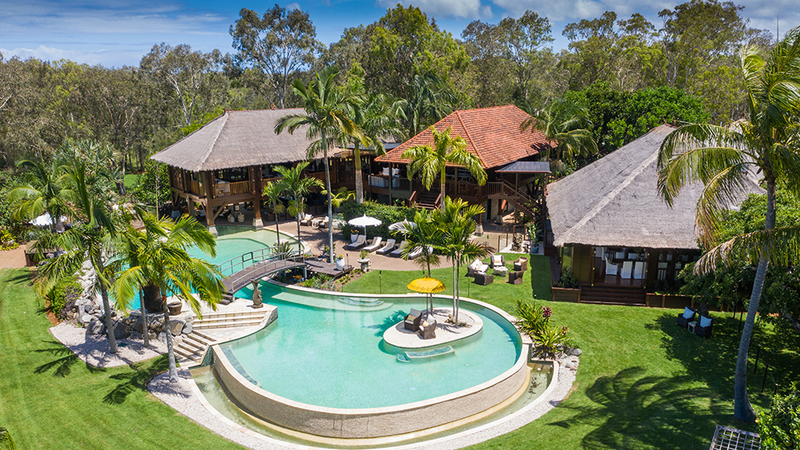 Far from the turquoise waters of the BVI, and just up the Noosa River from Queensland’s Sunshine Coast, is one of the world’s most luxurious—and least known—hideaways, Makepeace Island. Named after former resident and local colourful character Hannah “Shotgun” Makepeace, the 10-hectare heart-shaped island is Branson’s private retreat, along with partners Brett Godfrey (Virgin Australia’s co-founder) and friend Radek Sali (chairman and founder of investment group Light Warrior). But this is no guys’ hangout; like Necker Island, it’s a bona fide getaway with few peers to speak of. 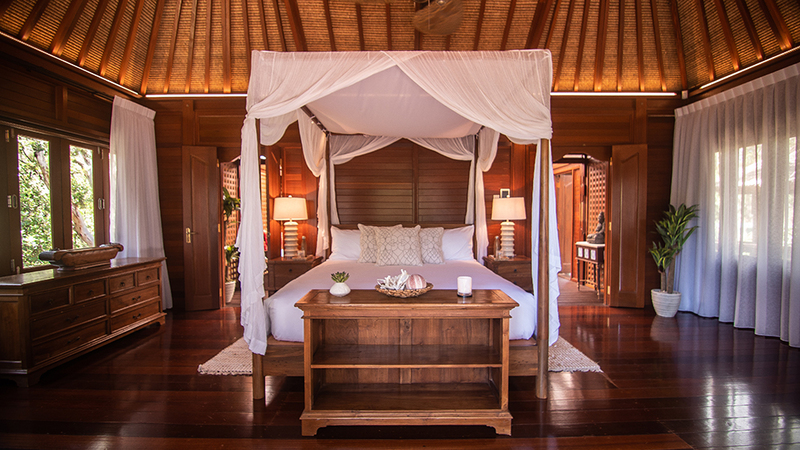 Built by traditional Balinese craftsmen who brought in timber and thatch from Indonesia, the resort’s collection of authentic tropical island buildings was completed in 2009 as a private sanctuary for family and friends. In 2011, it opened to the public and this year, after a major refurbishment, it has been relaunched as an exclusive-use retreat for up to 22 guests. The Los Angeles–based interior designer June Robinson Scott of DWG Design Studio (who refurbished Branson’s private residences on Moskito Island and in London) has given Makepeace a fresh new look that seamlessly blends modern contemporary living with the natural beauty of the surrounding landscape. Natural linens and softer furnishings were introduced, villas were reconfigured, and the pool area was extended with a large deck that now, with a new bar, has become a real hub for socialising. Like Necker, Makepeace has all the makings of a great vacation: island activities including water skiing, kayaking, and cruising; land diversions such as tennis courts, a spa, and a moonlight cinema; and a culinary program that focuses on local seafood and fresh produce. Unlike Necker, it is inhabited by rare creatures like kangaroos, wallabies, kookaburras, and echidnas, making this secret escape all the more exotic for the rare few who have the privilege of knowing it.